Joshua Sinclair led the way for Batang Gilas with 15 points. AS expected, the Philippines defeated Thailand, 86-49, on Thursday to capture the 2016 Seaba Under-18 Championship in Medan, Indonesia. Joshua Sinclair had 15 points, while Gian Mamuyac finished with 14 points for Batang Gilas, which completed a sweepl of their six games in the tournament. 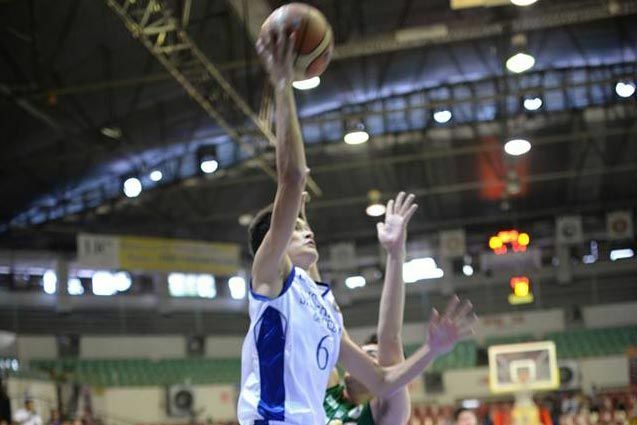 John Bahio finished with a double-double of 12 points and 13 rebounds for the Philippines. The Batang Gilas cagers trailed 17-19 in the first period but outscored the Thais, 31-13, in the second period to post a commanding 48-32 halftime lead. Following the Seaba victory, the Philippines will now compete in the Fiba-Asia Under-18 Championship in July in Iran. Philippines (86) - Sinclair 15, Mamuyac 14, Bahio 12, Tibayan 11, Nelle 11, Yu 9, Mendoza 8, Gozum 4, Flores 2, Madrigal 0, Alfaro 0, Lee 0. Thailand (49) - Tabtim 14, Suwan 7, Limjittakorn 6, Leelaphipatkul 6, Jaimsawad 6, Sonsem 6, Tanrattana 2, Banchathon 2, Sapakong 0, Pamanee 0, Samakpong 0, Ruangsutham 0. Quarters: 17-19, 48-32, 73-39, 86-49.